The ultimate ’Big Mess’ vinyl bundle features the album, ‘Big Mess’ on coloured vinyl and an additional 7” vinyl single. 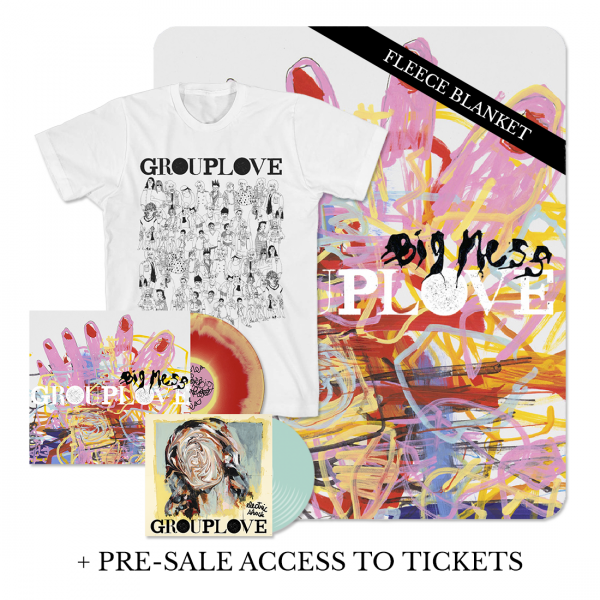 You will also receive the exclusive ‘People Party’ t-shirt and ‘Big Mess’ fleece blanket. Polyester Fleece Blanket, measures 50" x 60"